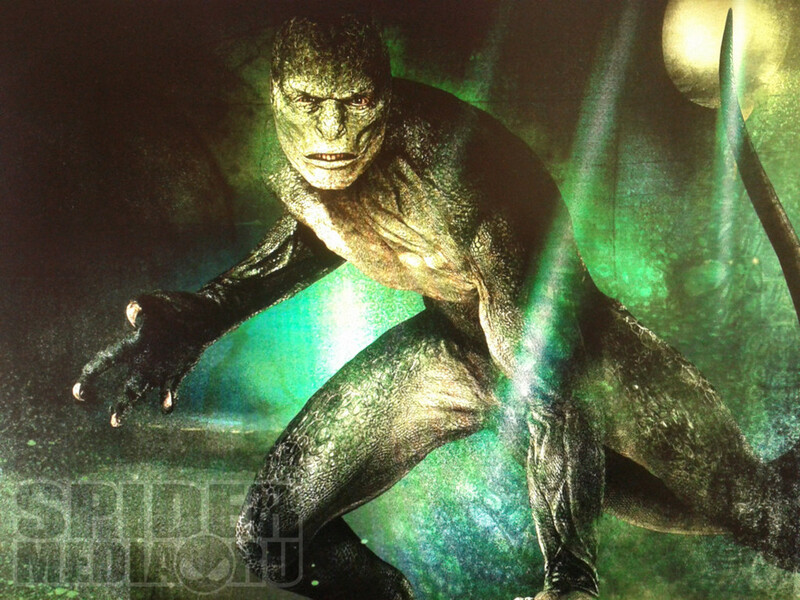 Check out 'The Lizard' Concept Art From Sony's 'THE AMAZING SPIDER-MAN'! Today we get a possible look at The Lizard [Rhys Ifans] in Sony's upcoming Marc Webb directed The Amazing Spider-Man via some leaked concept art for the film at Russian site SpiderMedia.ru. Starring Andrew Garfield, Emma Stone, Ifans, Denis Leary, Campbell Scott, Irrfan Khan, Martin Sheen & Sally Field the movie hits 3D, 2D & IMAX 3D theater screens on July 3rd. In the concept art, The Lizard design appears similar as to how he did in the Comic-Con sizzle clip. Hit the jump to check out the art. Click on image for full size view in Gallery. This incarnation of Dr Curt Connors’ reptilian alter-ego looks very humanlike in form especially the face despite the fact that he’ll be a CGI-creation on screen. I'm reading: Check out 'The Lizard' Concept Art From Sony's 'THE AMAZING SPIDER-MAN'!Tweet this!